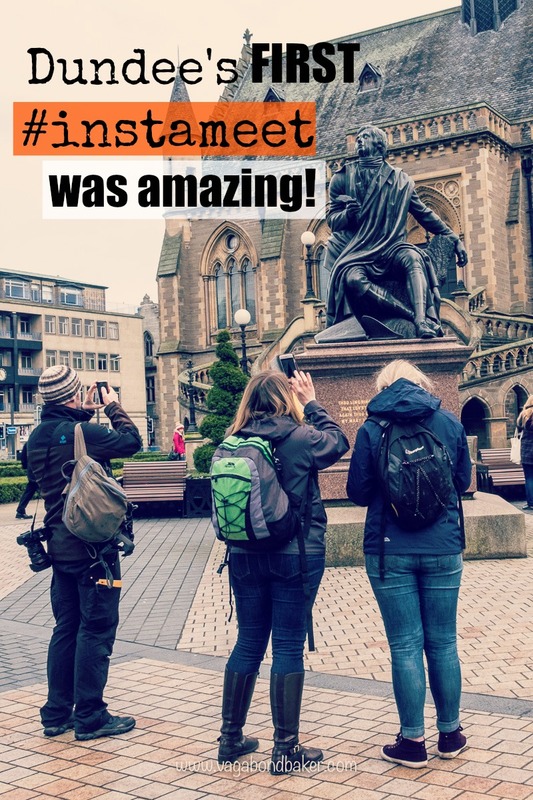 A couple of weeks ago I took part in Dundee’s first Instameet, joining 60 Instagrammers photographing their way around the city to showcase what Dundee has to offer under the Instagram hashtag #dundeeinstameet. 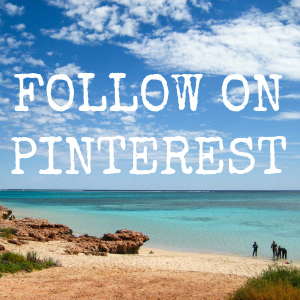 << check it out! As someone who tells everyone I meet how much I like Dundee, I was thrilled to be a part of this. The Instameet was organised by three local Instagrammers: Ian Black, Craig Anderson and Kristy Ashton. They wanted to share their love of Dundee and planned an itinerary around the city taking in all the coolest sites. By the end of the day I was swelling with pride for the city I consider as home, impressed by how well organised the event had been and extremely excited about Dundee’s future. When we moved to Dundee in 2009 after five years living on the beautiful west coast of Scotland we didn’t plan on it being a long-term move. It was a means to an end: friends offered us accommodation when we returned to the UK after a RTW trip and we settled in. Then the strangest thing happened, Dundee got under my skin, I discovered that I loved living here! I’ve sung its praises ever since, in particular that it’s definitely the sunniest place I’ve lived in the UK! 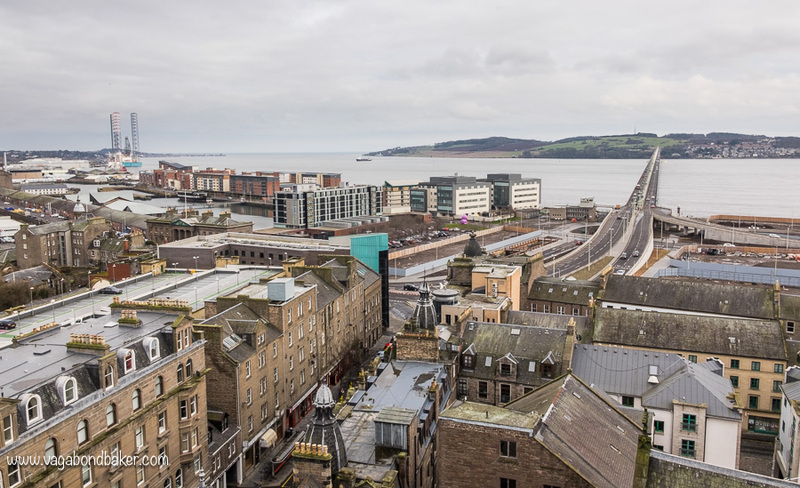 When it was announced a few years ago that the V&A would be opening a Scottish V&A Museum of Design in Dundee, the city began to quietly reinvent itself. 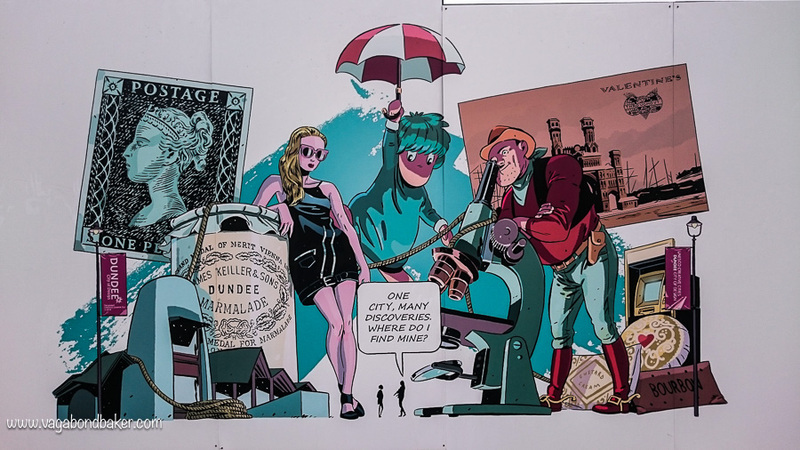 In 2014 Dundee was the first UK city to be awarded UNESCO City of Design status, for its design contributions to diverse fields from medicine to comics and video games – did you know that Lemmings and the original Grand Theft Auto come from Dundee? 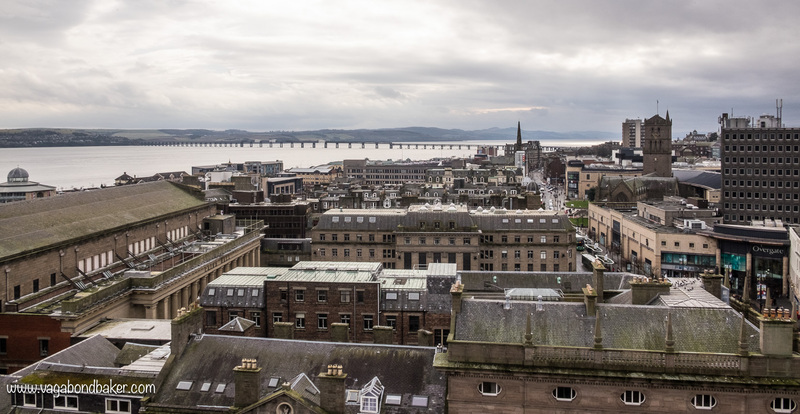 GQ magazine recently wrote a piece about why Dundee is becoming Britain’s coolest little city: credible praise indeed. The world is beginning to take note of this Scottish city, and I for one am thrilled about this. 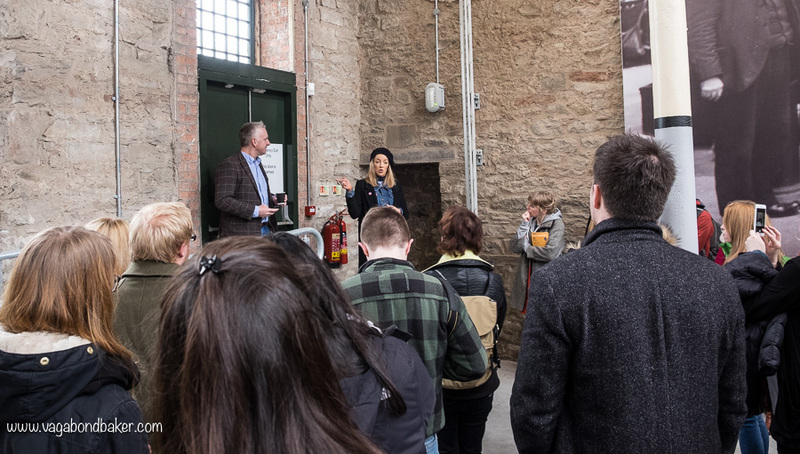 We all convened on the Saturday morning at Dundee’s Verdant Works. A fitting place to begin; the Verdant Works is a former jute mill and Dundee was at the heart of the jute industry in 1800’s. Raw flax was shipped from India to Dundee where it was treated with whale oil. There was a significant whaling industry based in the city and it was discovered that the raw jute fibre could be softened with whale oil, which meant that the process could be mechanised. Dundee’s population tripled and there were over a hundred jute mills in the city. 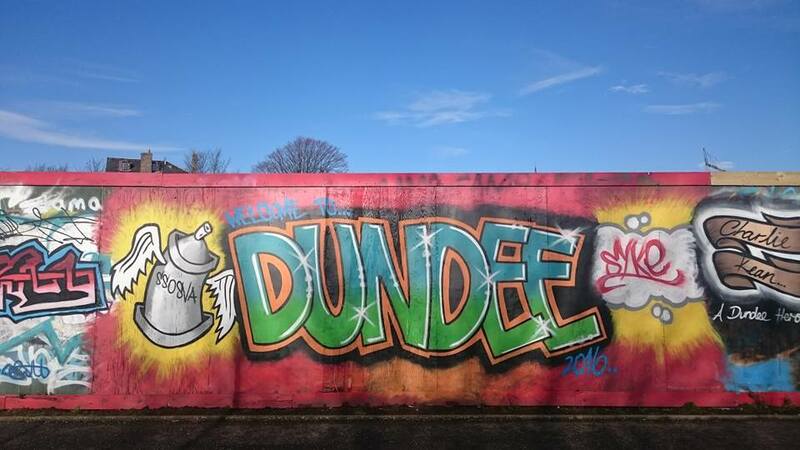 Jute put Dundee on the map. After coffee and a mingle we gathered in the newly restored High Mill section of the Verdant Works museum. Fashion designer Hayley Scanlan is a Dundee city ambassador and she talked to us about why she bases her fashion business here in Dundee. She has won Scottish Young Fashion Designer of the Year twice. 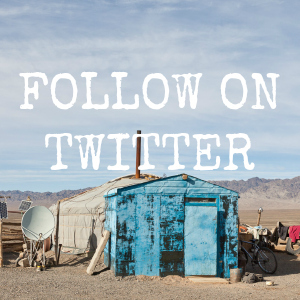 At one end of the airy High Mill a monolithic machine came to life as the Instagrammers got to work. 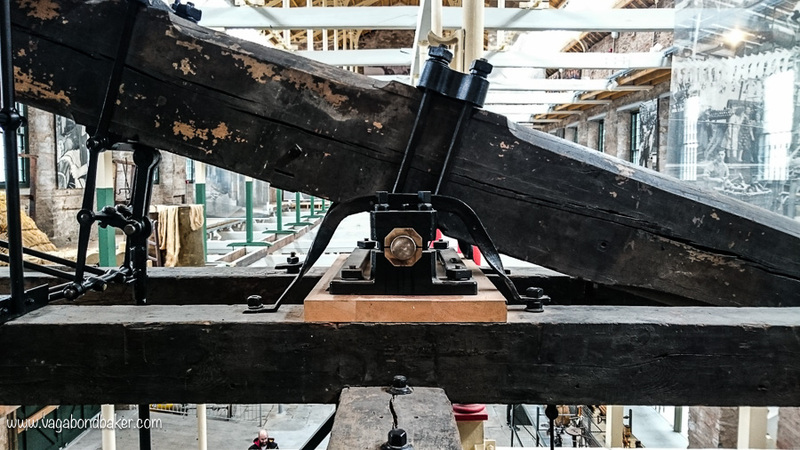 The magnificent Boulton & Watt steam engine on display here is one of only four of its kind in the UK and it gleams with its recent restoration. These huge machines – dating from the beginning of 1800’s – powered the textile mills and were the making of the Industrial Revolution. 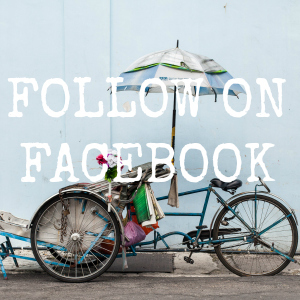 Wheels whirred, the immense beam rose and fell, and a flurry of photos shared the magic with the world on Instagram. 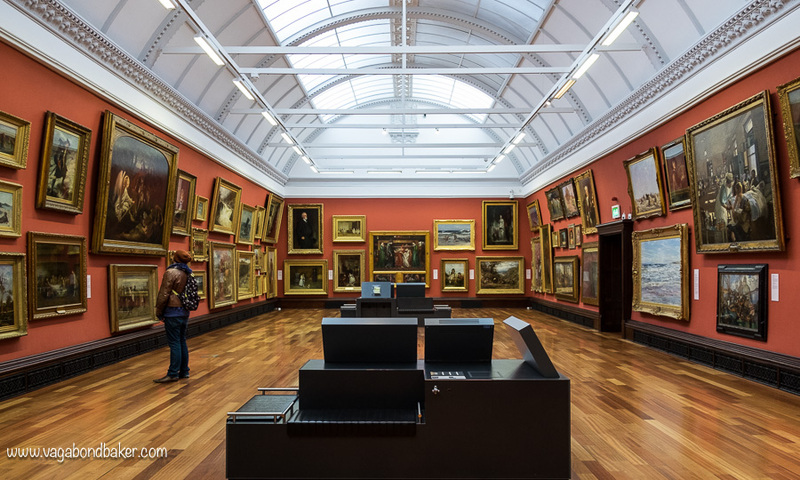 From the Verdant Works our troop headed to the centre of town, to Dundee’s most beautiful building: The McManus Galleries – as voted by the people of Dundee. 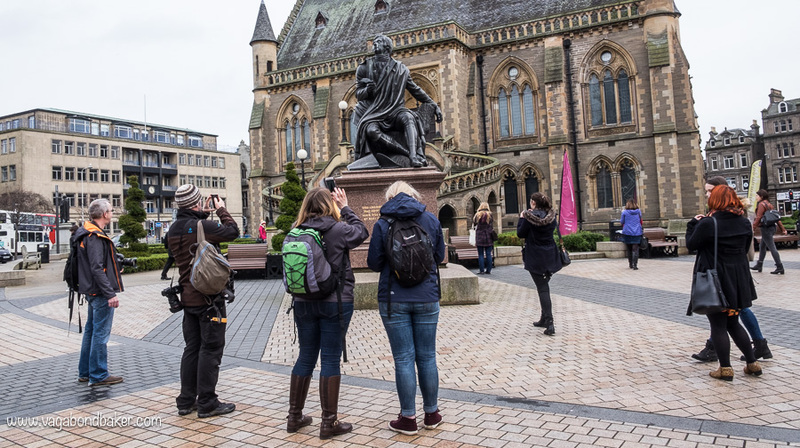 The McManus Galleries certainly deserves its beautiful tag, with its gothic revival styling and sweeping external staircase it is probably the most photographed building in Dundee. After a quick pause to snap Rabbie Burns in the square out front, and the brand new Oor Wullie sculpture sitting on the wall nearby with his bucket, we then headed inside the galleries. The inside of the McManus Galleries is an impressive as the building itself. The building houses a smart museum, art galleries, and a cafe. I am a regular visitor to the art galleries; I adore the Victoria Gallery with its red curved walls and I come to gaze at Dante Gabriel Rossetti’s Dante’s Dream on the Day of the Death of Beatrice a lot. It’s been a few years since I’d been into the museum parts of the gallery though, and I’d forgotten how great they really are! 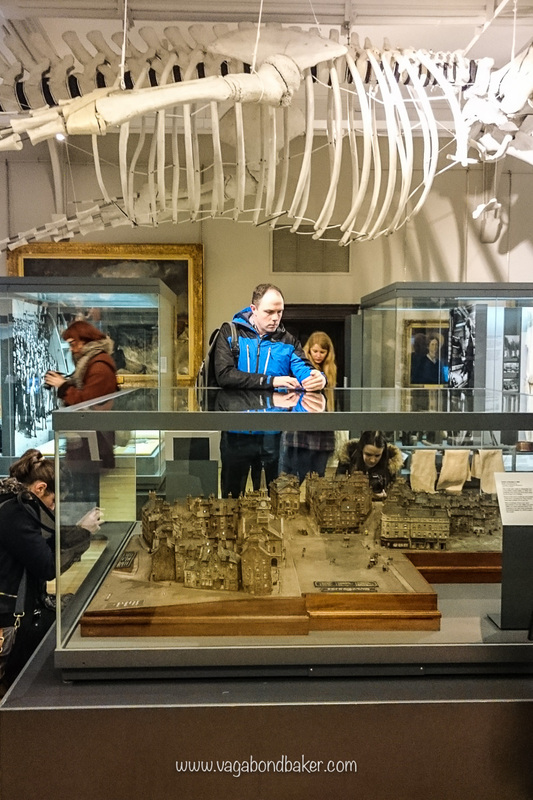 In The Making of Modern Dundee gallery you can come face to face with the Tay whale. 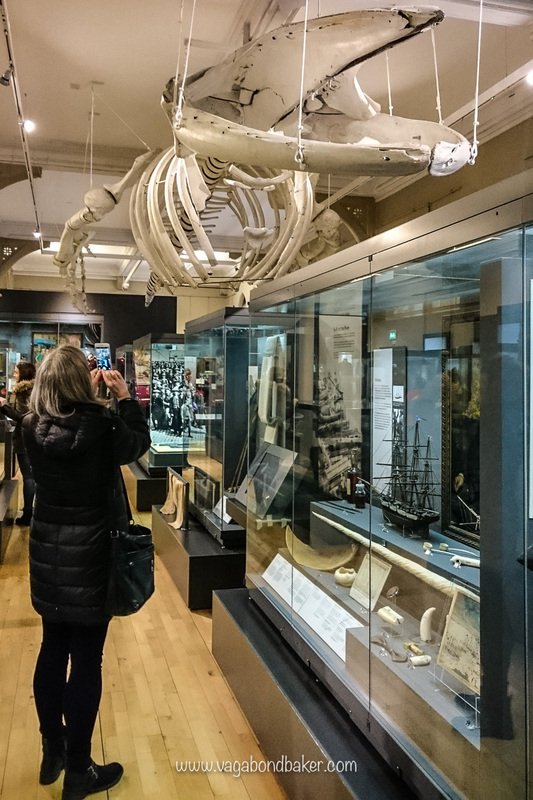 This big humpback whale swam into the firth of Tay in the November of 1883 and was harpooned by the Dundee whalers who were home from the Arctic for the winter. He didn’t go without a fight though and escaped, only to be found dead a week later up the coast. The poor creature was then taken on tour around the UK while he was slowly dissected to the entertainment of the British public! 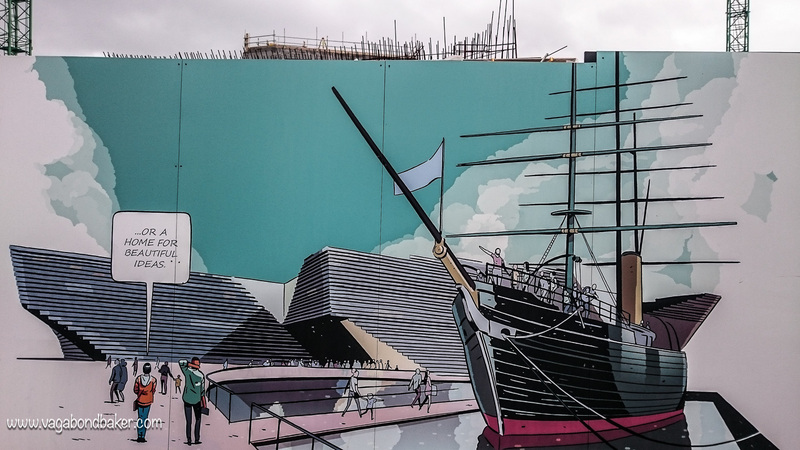 Under the whale, the growth of Dundee is shown through fascinating displays detailing the city’s successes and industries. The Dundee and The World Gallery is situated in the stunning Albert Hall. This gallery explores Dundee’s overseas links through some amazing artefacts, all framed by the halls beautiful stained glass windows. From the McManus Galleries we then crossed the city to the DCA on the Perth Road. 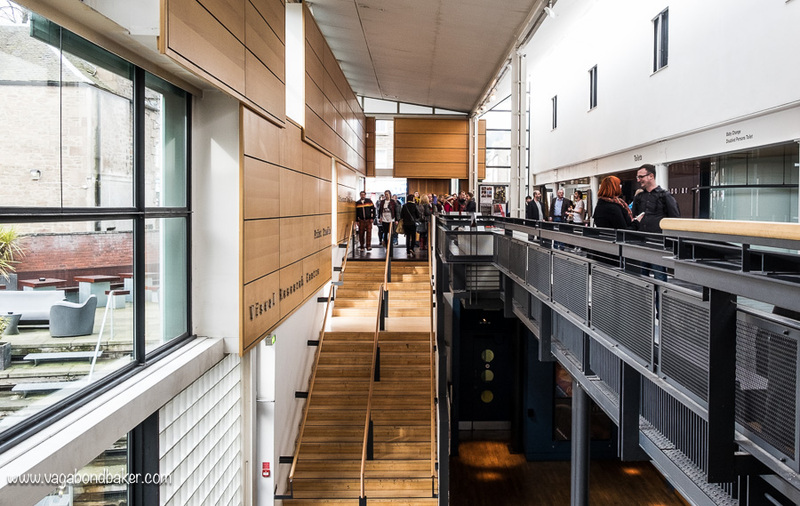 Dundee Contemporary Arts centre is another of Dundee’s gems. 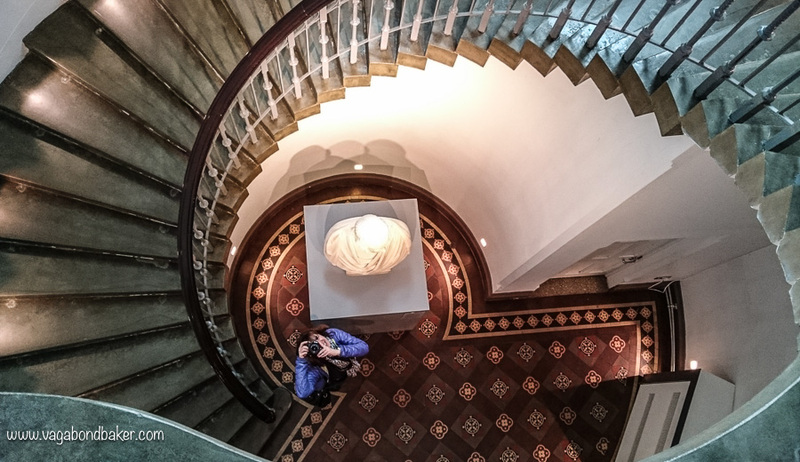 This excellent arts centre has two galleries which host contemporary art from both Scotland and from around the world, as well as a two screen independent cinema and a print studio. The print studio is open access meaning that anyone can use the facilities once they are registered (a price list for the use of the studio can be found on the DCA website). There are regular taster sessions where you can try all sorts of printing techniques and there is also digital printing, including 3D printing, and a photography dark room. 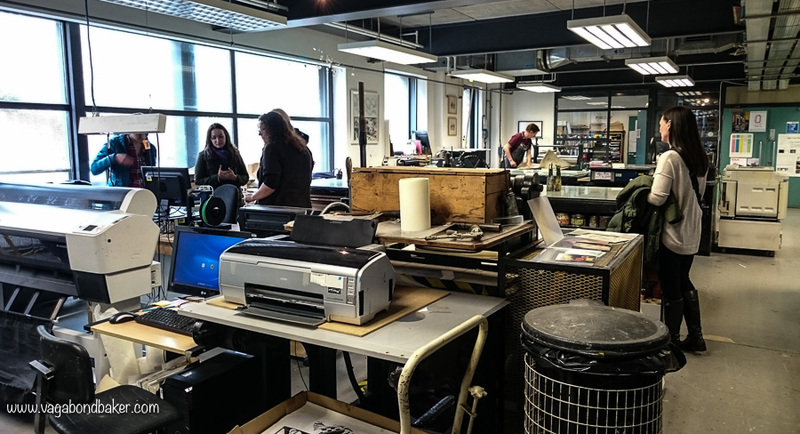 We were shown around the print studio and also behind the scenes in the cinema too. The DCA also has the popular Jute Cafe Bar and a quirky gift shop, as well as a drop-in creative space that also occasionally hosts crafty workshops. I went to a really fun felting workshop a few years ago here, it’s always worth checking to see what’s on. Lunch was served at Discovery Point down on the river, we munched on hearty soup and sandwiches while the talented artist Ellis O’Connor talked to the group about her trips working in Iceland, the northern Isles and her future plans to work in the Arctic circle. It was inspiring to hear her stories, and her work is amazing: you should definitely check out her Instagram feed! The Discovery Point visitor centre overlooks the building site for the V&A Museum of Design which is beginning to take shape now. 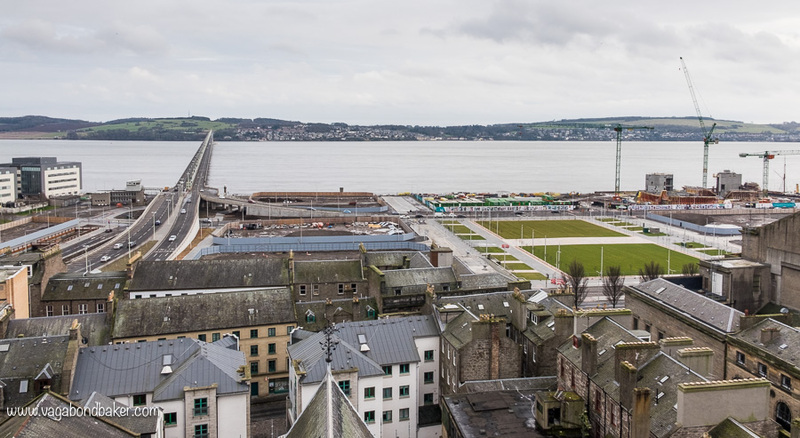 The V&A coming to Dundee is one of the most exciting things that have happened to the city; this new museum is part of the billion pound redevelopment of the Dundee waterfront and is will transform the city. A spokeswoman for the V&A Dundee gave us a talk after Ellis, and her enthusiasm was infectious. I’ve been excited about the V&A coming to Dundee since it was announced, but now I’m super excited! The museum has been designed by world-renowned architect Kengo Kuma, and this is his first British building. It is the first design museum to be built in the UK outside of London, and it will be the only other V&A museum in the world. 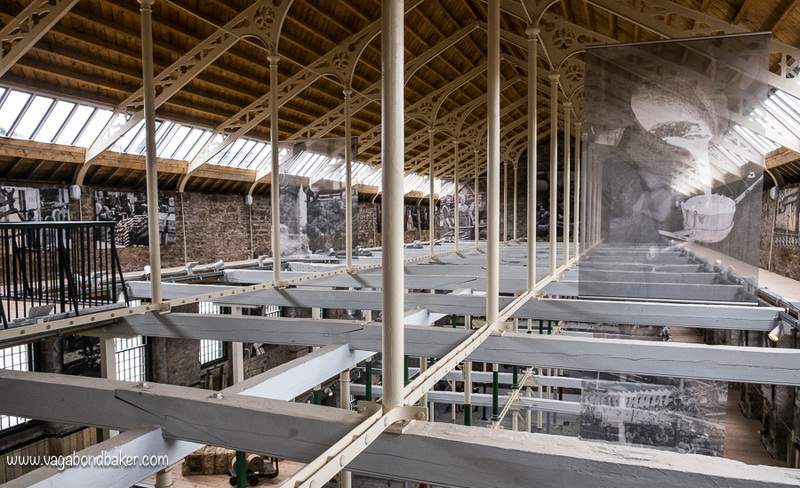 It is going to have purpose-built galleries big enough to take entire touring exhibitions from the V&A in London, bringing world-class design exhibitions to Dundee and not only that, it will also give Scottish design heritage a dedicated home. It sounds awesome, right? I can’t wait for it to open! The V&A Dundee is the icing on the cake for this awesome little city! After lunch we got to explore the RRS Discovery. This famous ship was built in Dundee specifically as an Antarctic Research ship. In 1901 it set sail from the Isle of Wight for the South Pole. It would be Robert Falcon Scott’s and Ernest Shackleton’s first successful expedition to the Antarctic. 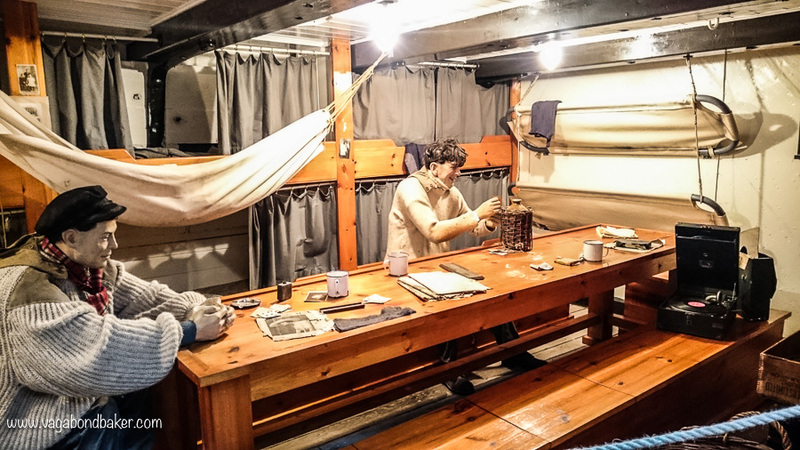 The ship is now a museum and has been restored to how it would have looked when Captain Scott and crew set off to Antarctica. 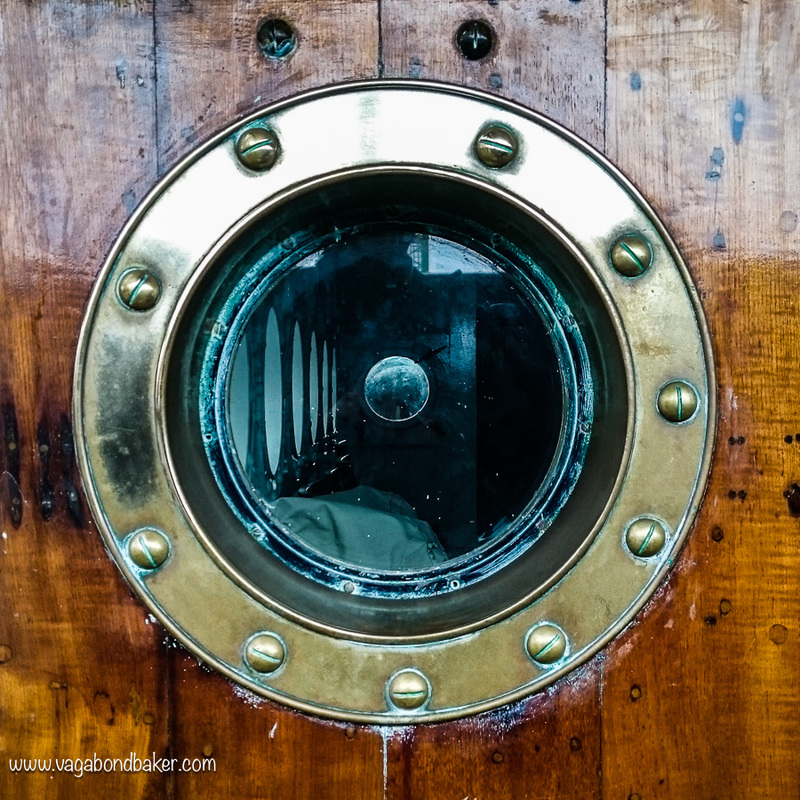 Below deck you can get an idea of what it must have been like to live for many months out at sea, from the communal bunks of the crew to the more comfortable cabins of the captain and scientists. The afternoon was given to free wandering, although we had been given an annotated Google map highlighting ideas of where to go and what to photograph. I had driven past the marvellous ‘Adventures in Design’ comic strip that wraps around the V&A building site lots of times but as we were down at Discovery Point is was a short walk to get a close up look of it. I think Chandlers Lane is one of Dundee’s prettiest streets, this cobbled street of cute houses leads from the City Quay to the Tay river. 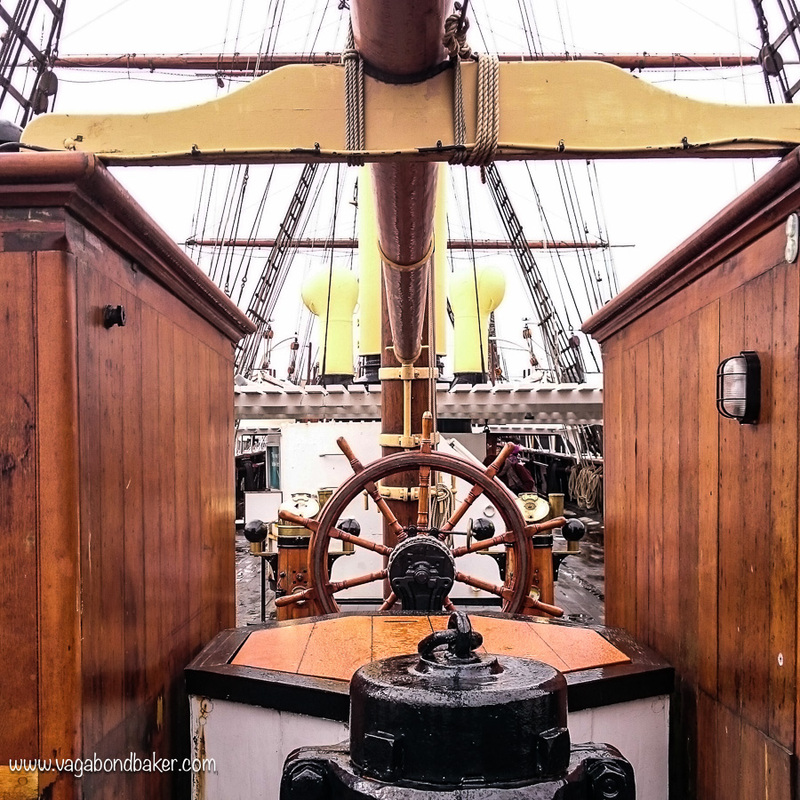 Nearby, the HMS Frigate Unicorn is also a museum ship and one of the world’s oldest surviving boats. Originally built as a 46 gun frigate she never saw action. It looks kind of funny with its huge roof and lack of masts but this is what it has always looked like: mast-less, as a reserve ‘ordinary’ ship. 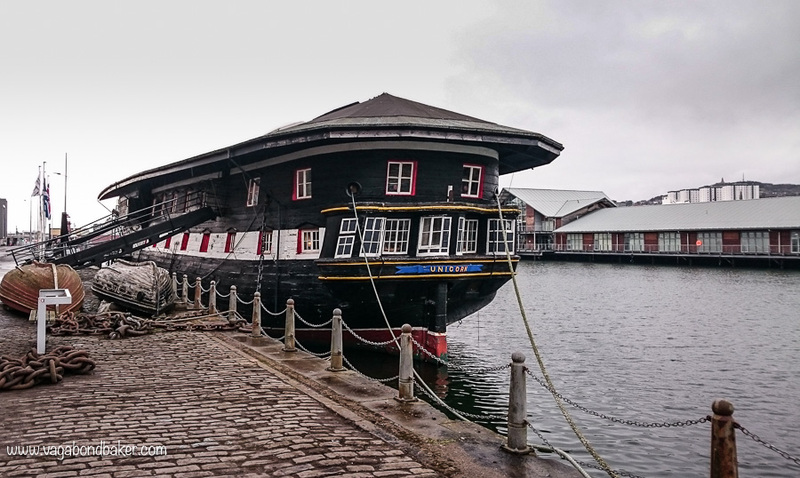 The lovely Unicorn bowsprit is a well photographed little icon of Dundee. We headed to the heavens next, climbing the narrow spiral staircase to the teetering balcony at the top of the St Paul’s Cathedral steeple. From up here we were afforded great views out over the city streets to the river. It was good to see the waterfront regeneration work from up here too, it’s going to look amazing when it’s all finished. 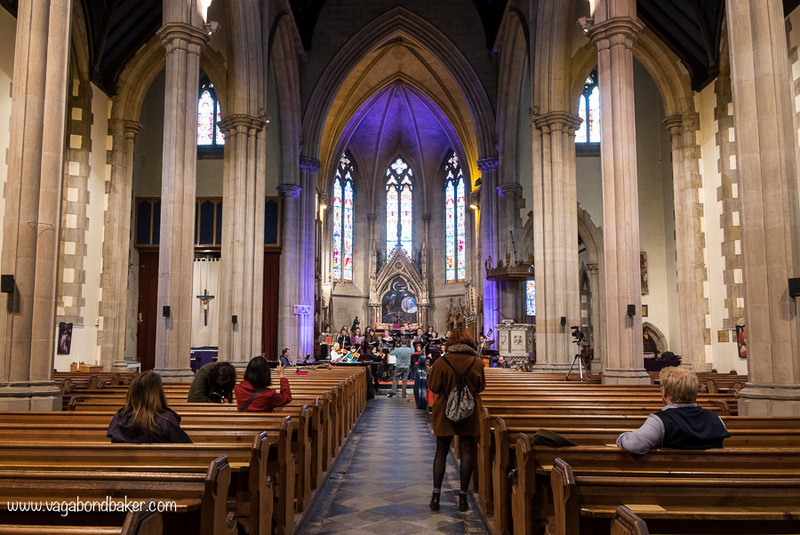 There was also a little treat inside the cathedral: an orchestra were rehearsing for a performance later that evening. The day ended with cocktails and nibbles in Malmaison hotel. The day had been a huge success and everyone seemed to have enjoyed themselves. 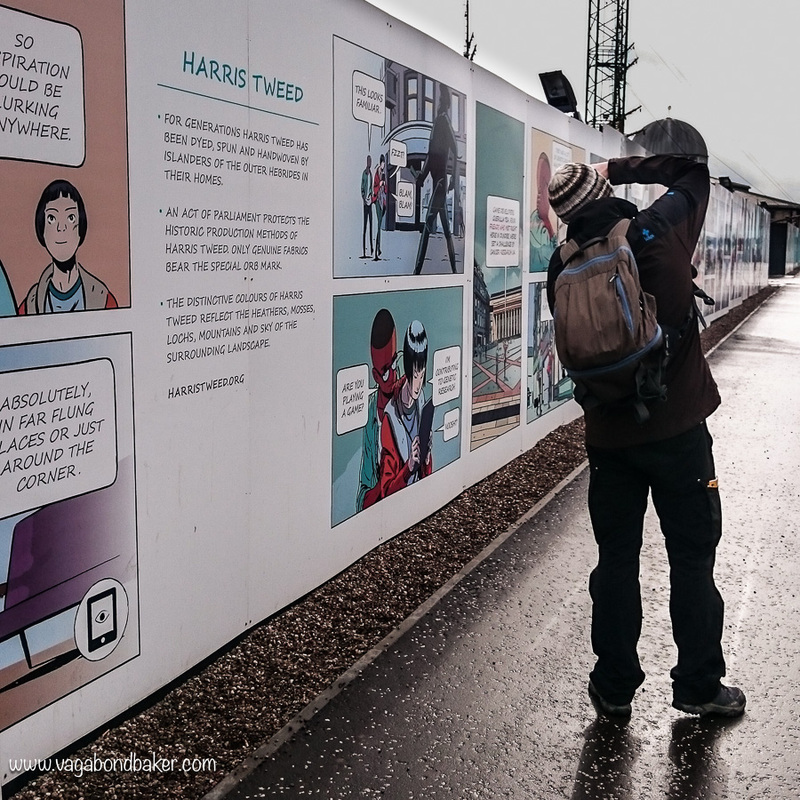 It had been great to meet some amazing Instagrammers and bloggers from around Scotland too, it’s always great to put faces to social media handles! We talked about how well organised the day had been. I was really impressed by how smoothly it had gone and how enthusiastic everyone was. I left feeling extremely proud that I consider Dundee my home (I know, I’m a nomad, but hey, I like to have somewhere that feels like home! 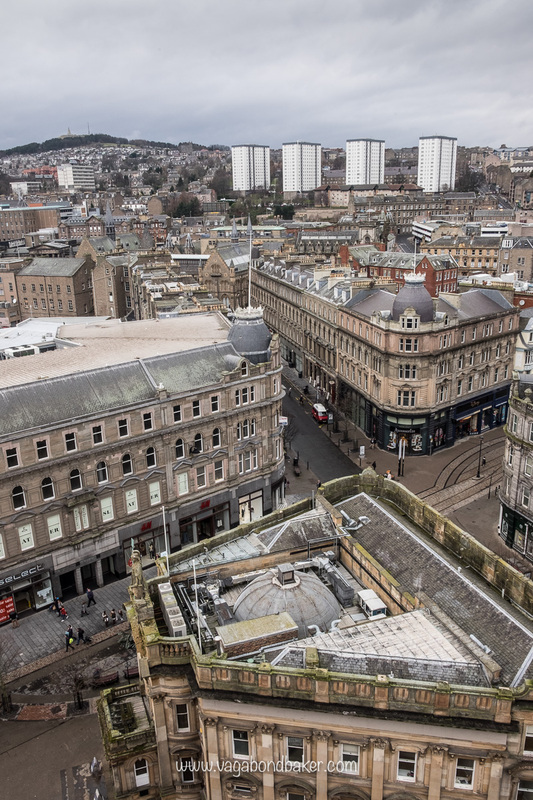 ), and very excited about the direction Dundee in heading. I’m really glad that Dundee is now getting the recognition it deserves, I love it here and I want other people to see how great Dundee is! Authentic Dundee Cake Dundee Cake based on the original 1700’s recipe! Killiecrankie: a walk into some Scottish history a Jacobite rout and a leaping soldier! Hiding Away Up A Scottish Glen The southern Cairngorms, Glen Clova and a dusting of snow. 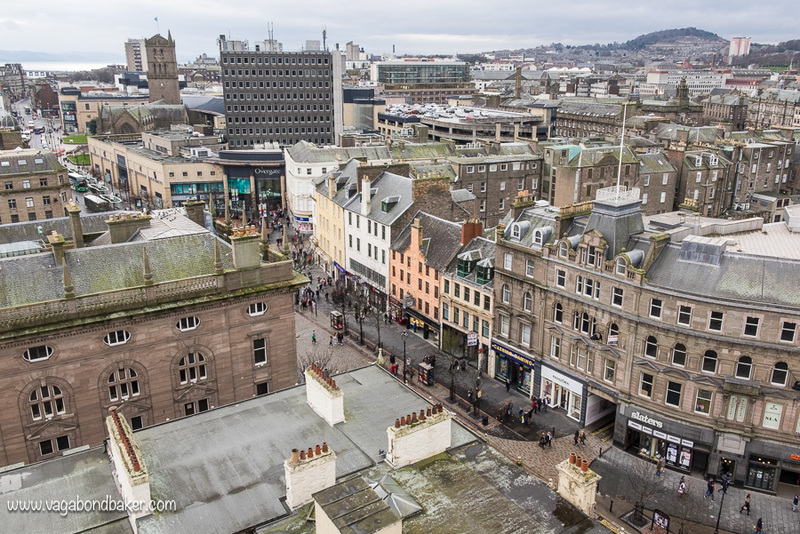 Have you been to Dundee? Are you tempted now? I love Scotland and have visited many times but it never occured to me to visit Dundee and I’m shocked at all the stuff that I’ve missed! I’m utterly surprised that Dundee was the first Art & Design UNESCO location in the UK, and I didn’t even know it! What a great idea for an instameet so that people can instantly see what’s out there. Well done you guys! I have to admit, I only recently heard about the UNESCO thing, it’s so cool! 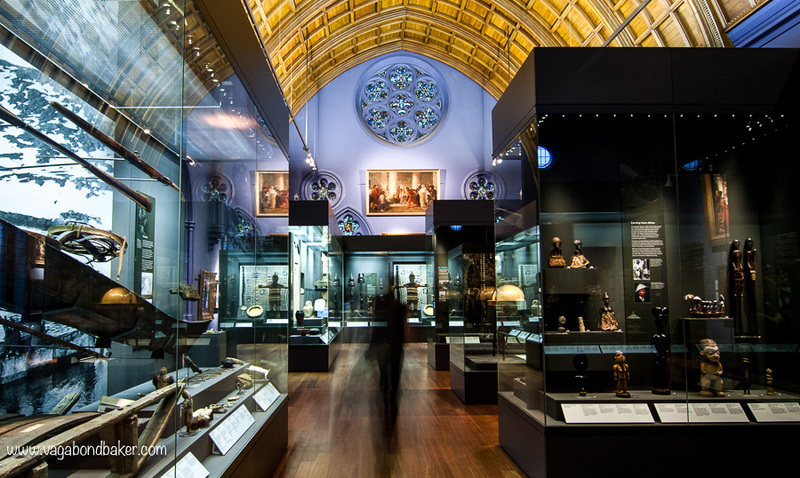 It’s definitely a city on the rise, and it will surely be a destination not to miss when the V&A opens. I really enjoyed the Instameet, I hope to join up with a few more. 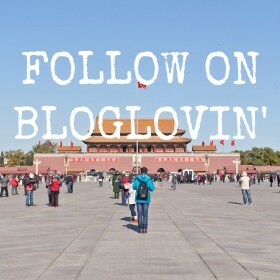 It was great fun, and brilliant to meet the other instagrammers! Ooo, I’d love to join a Finland instameet too, that would be so much fun! 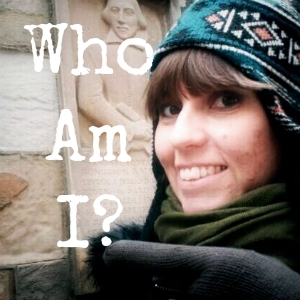 I bet you aren’t the only one who knew Dundee only as a knife-wielding Aussie! Haha, or a marmalade perhaps. I hope it gets lots more known soon with the awesome new museum being built.